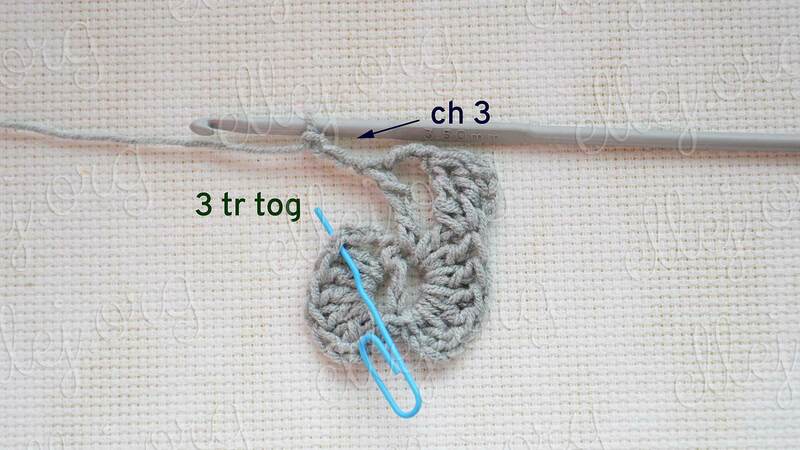 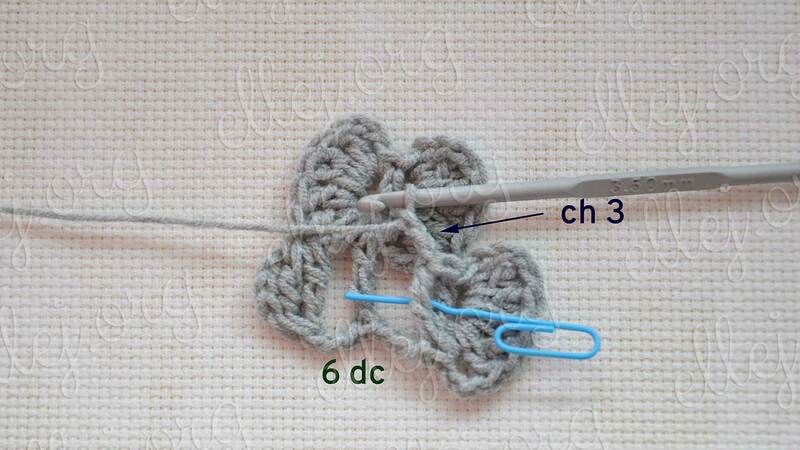 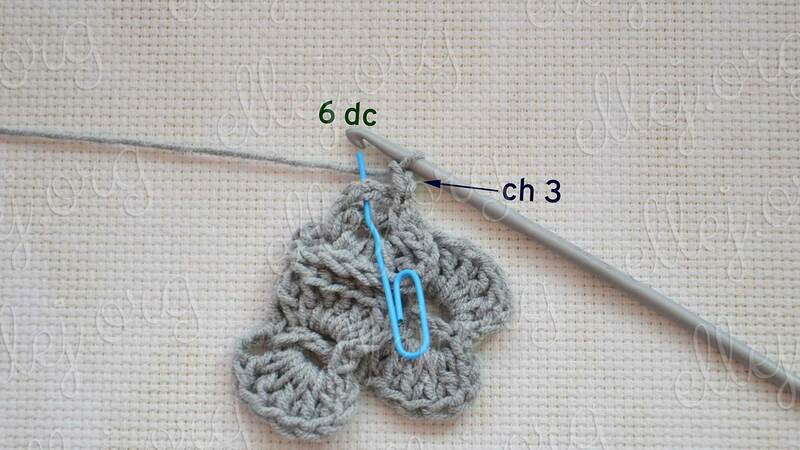 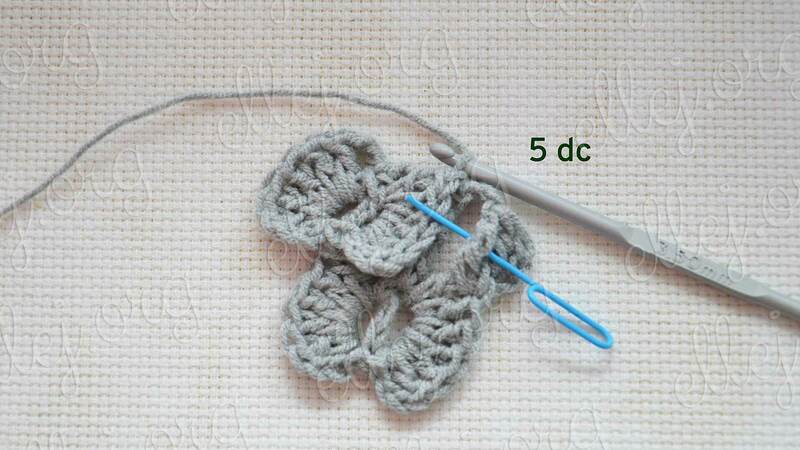 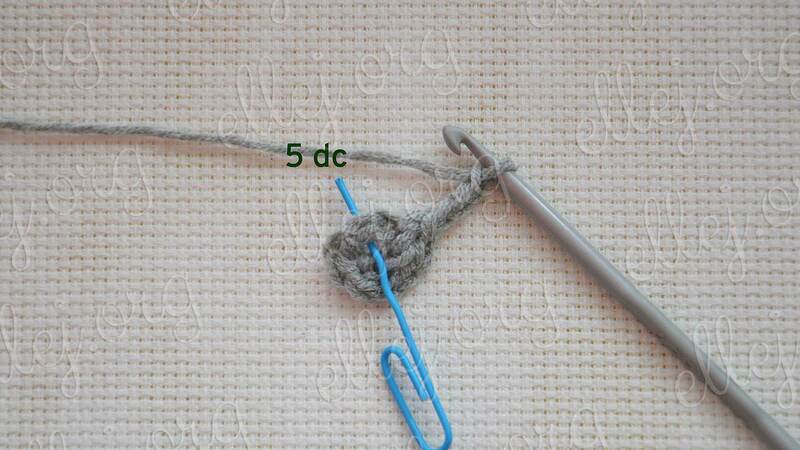 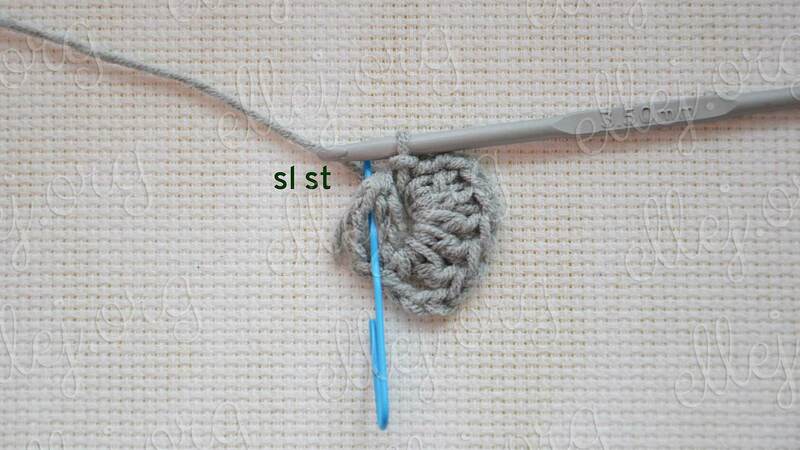 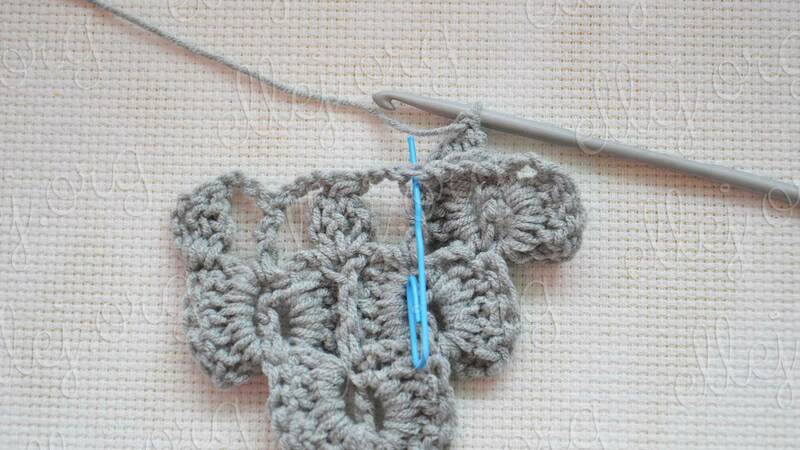 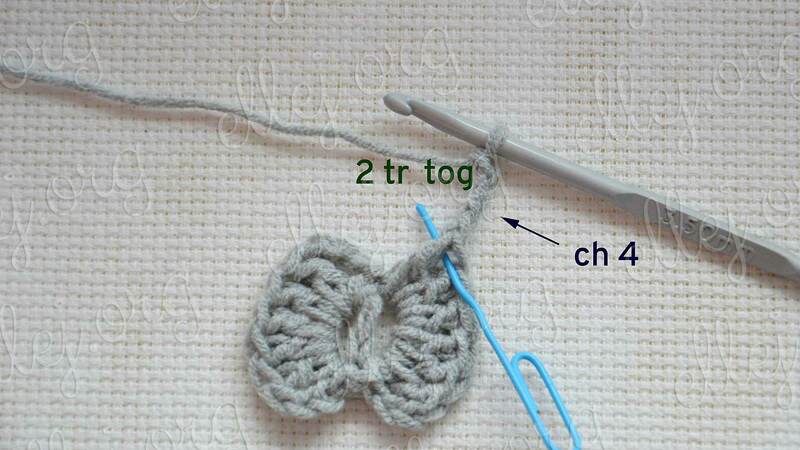 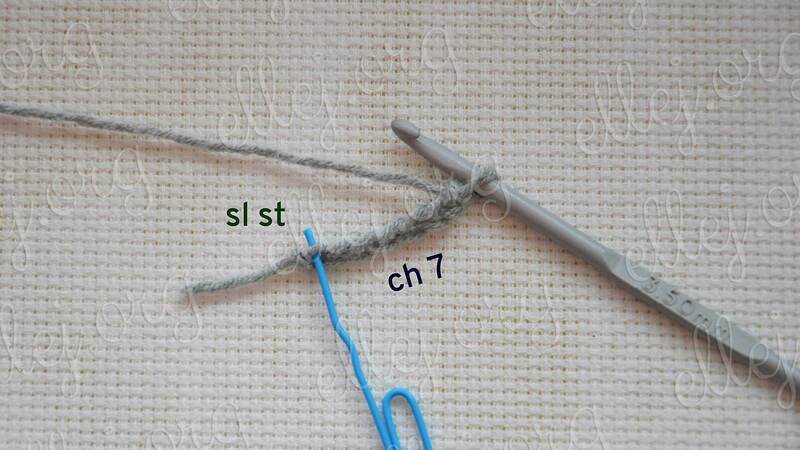 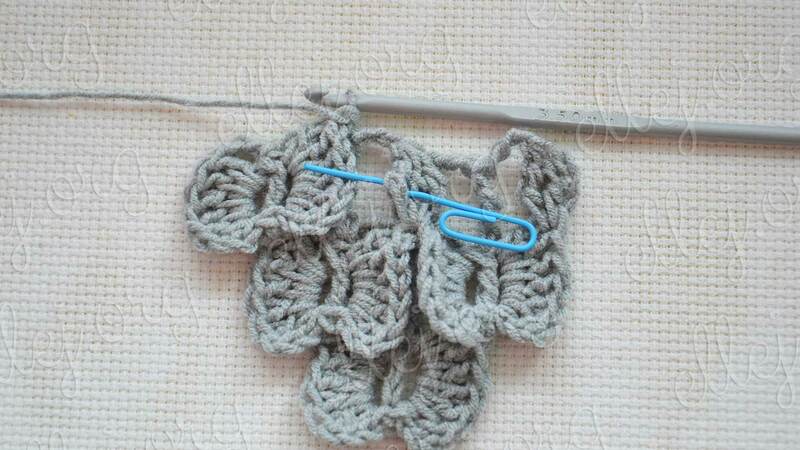 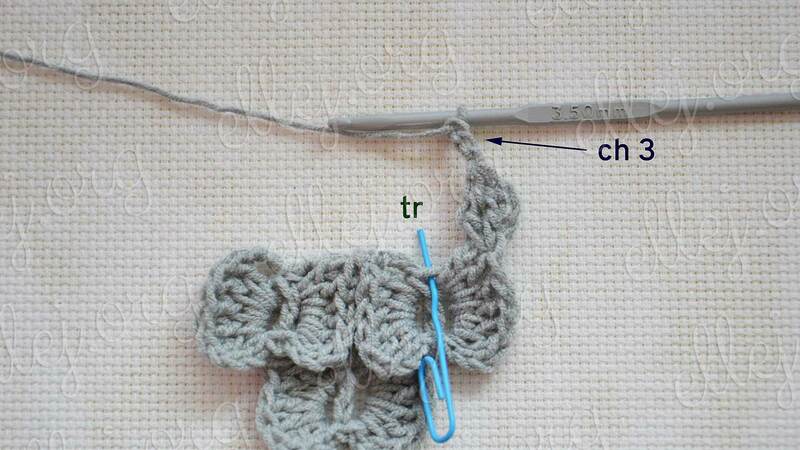 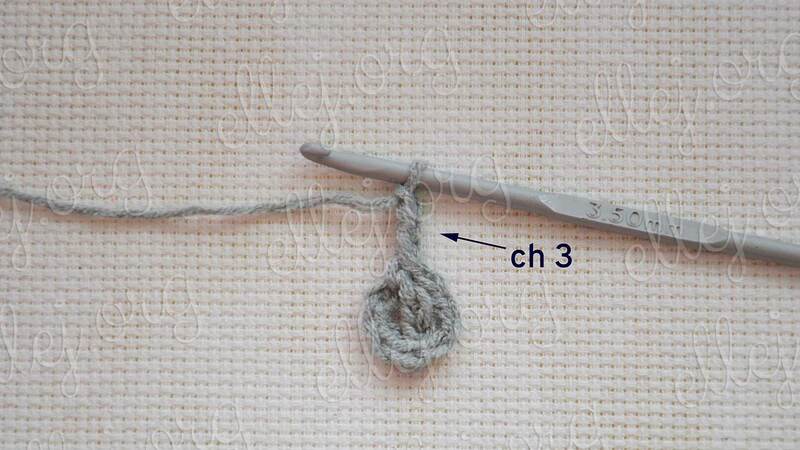 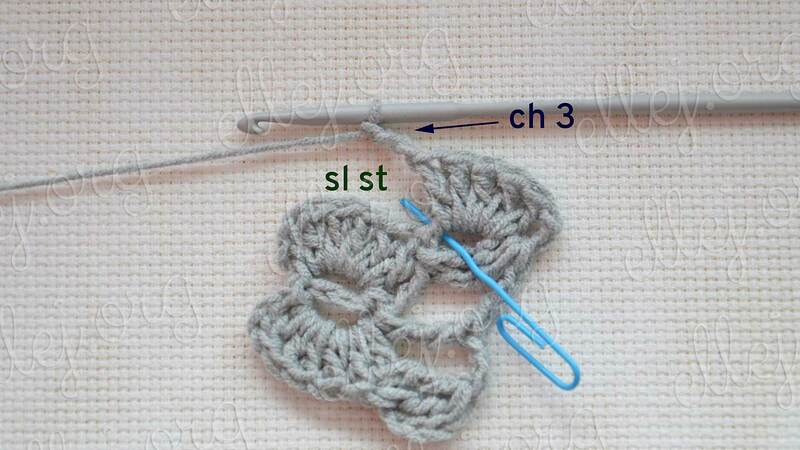 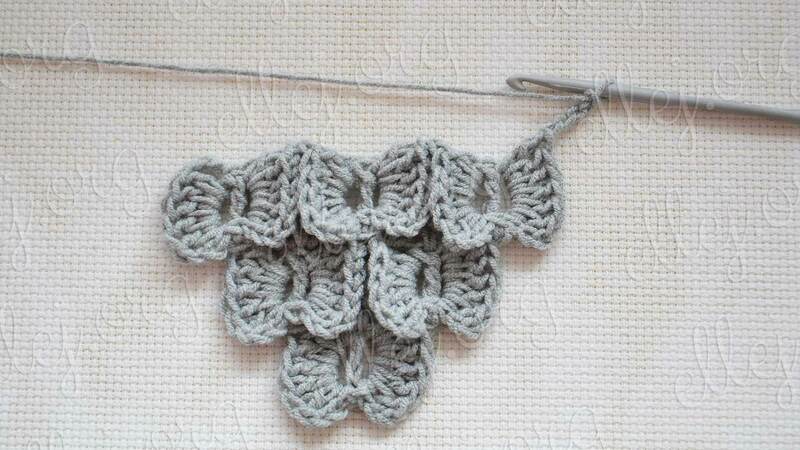 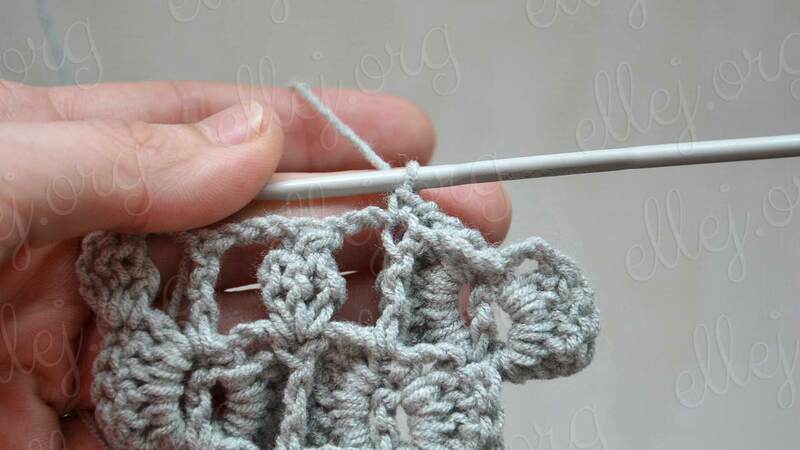 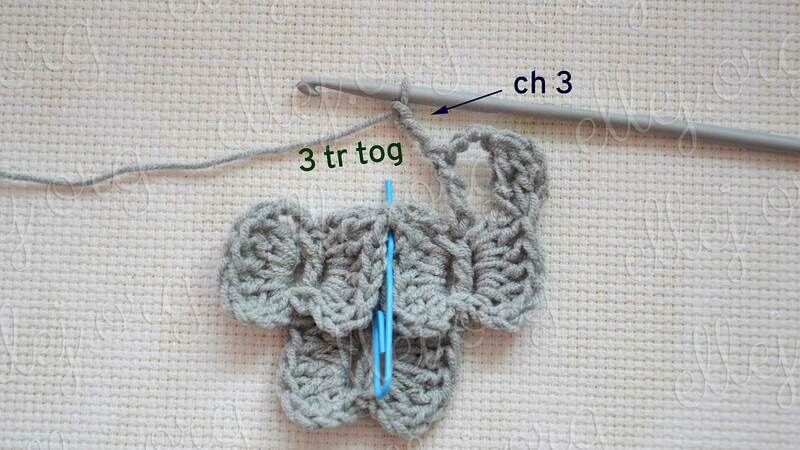 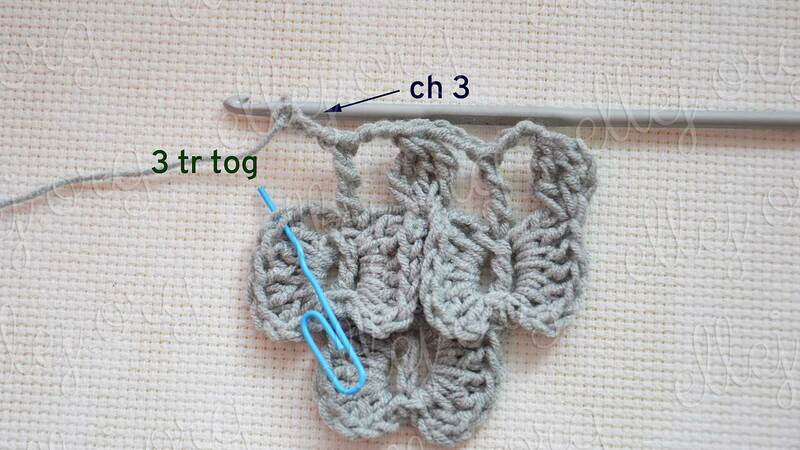 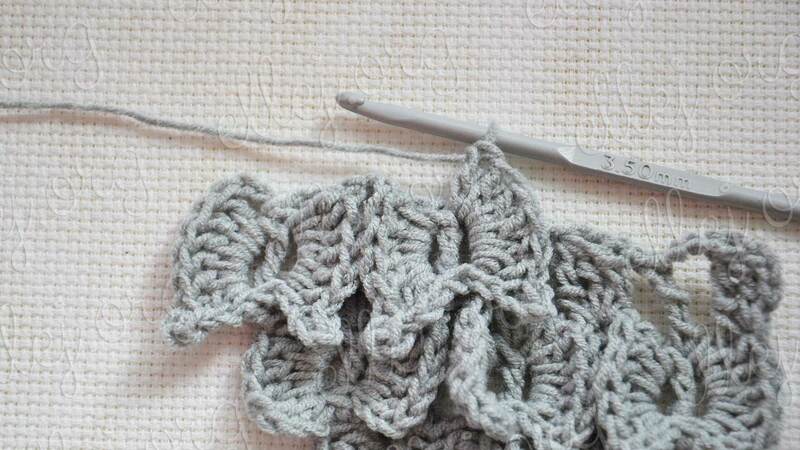 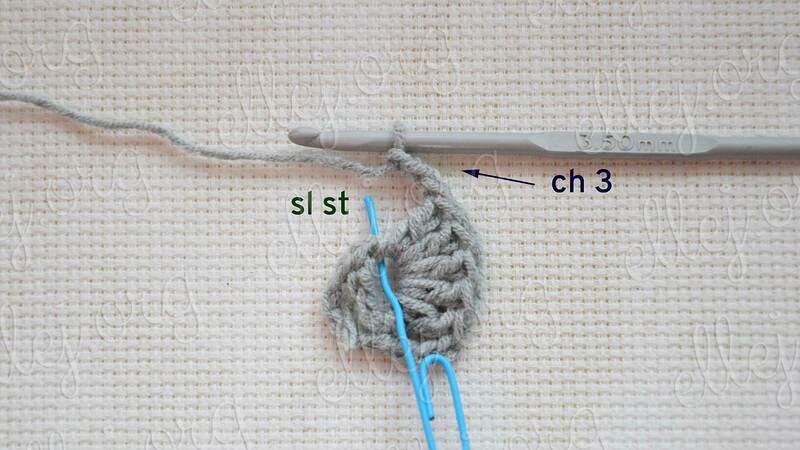 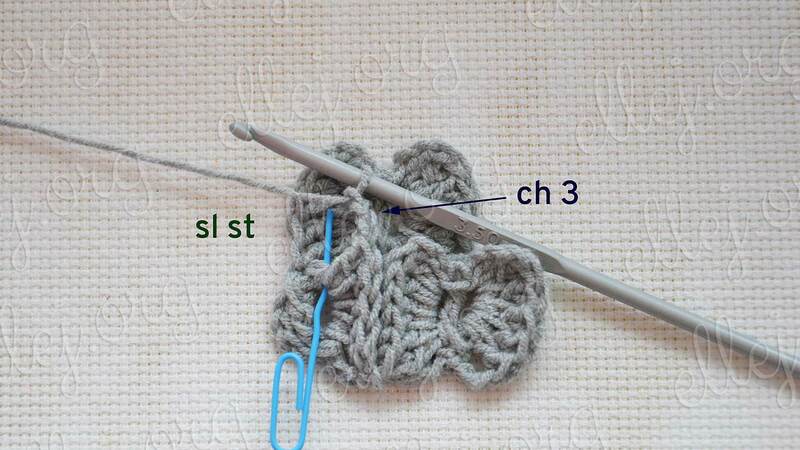 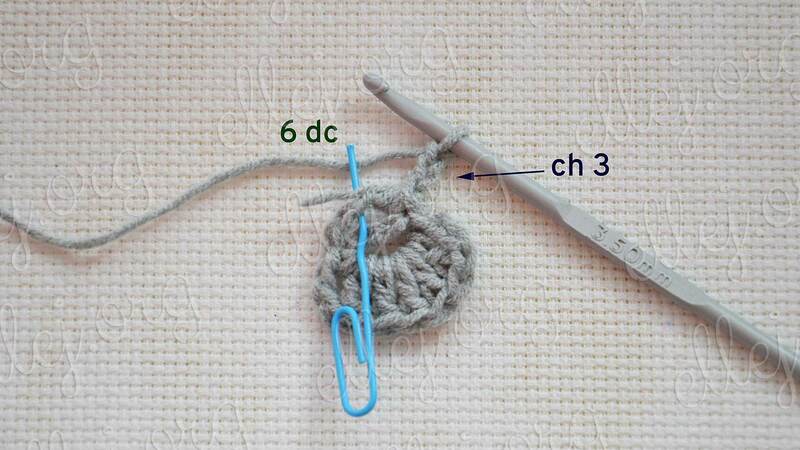 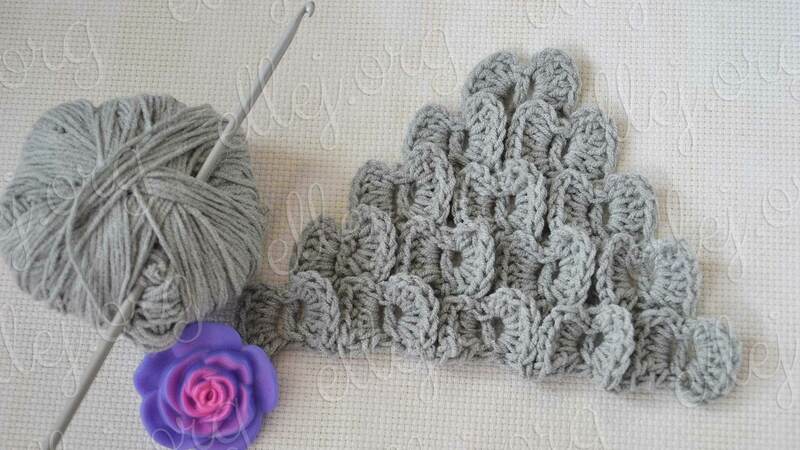 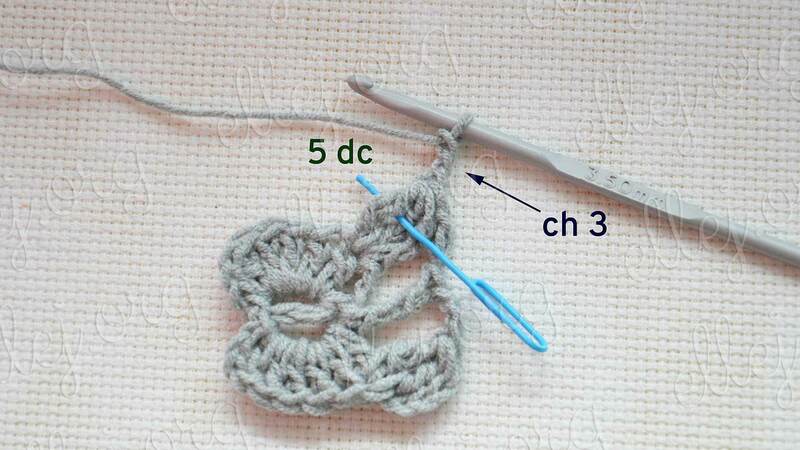 When I made the Tutorial on the well-known pattern “Scales” or “Crocodile Stitch” and even then I thought, what can we do, how to crochet the triangular form fabric. 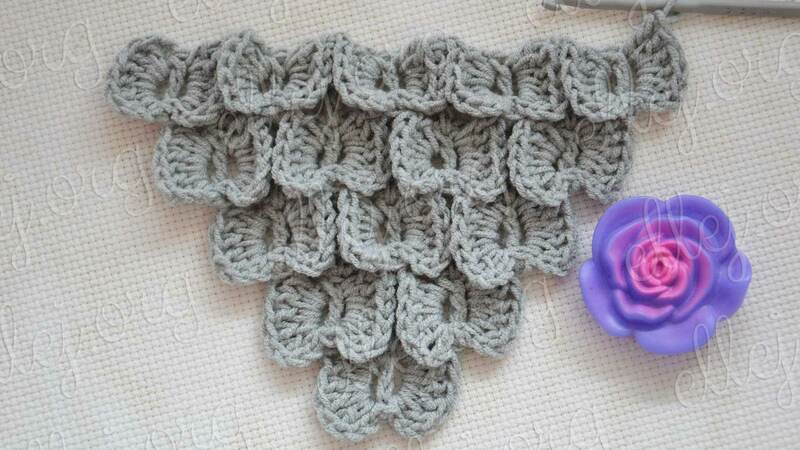 Today I show it, but instead of scales we have butterflies or bows, who as more like it. 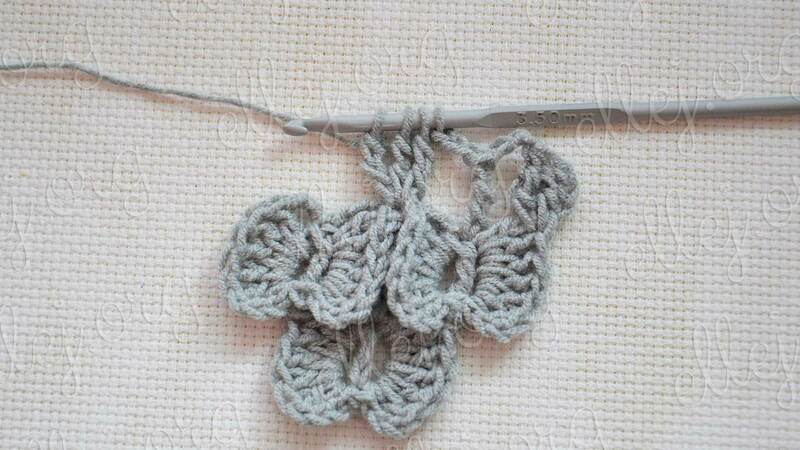 The principle of in both patterns are one and the same: first working frames, then crochet butterflies on them. 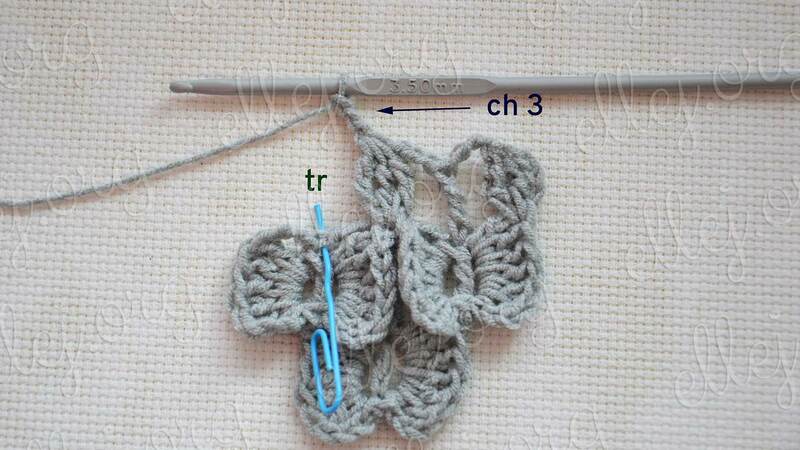 The only difference in the frame that for butterflies we do 3 treble crochet (tr): 1 tr for one wing, 1 tr for butterfly body, 1 tr for the second wing. 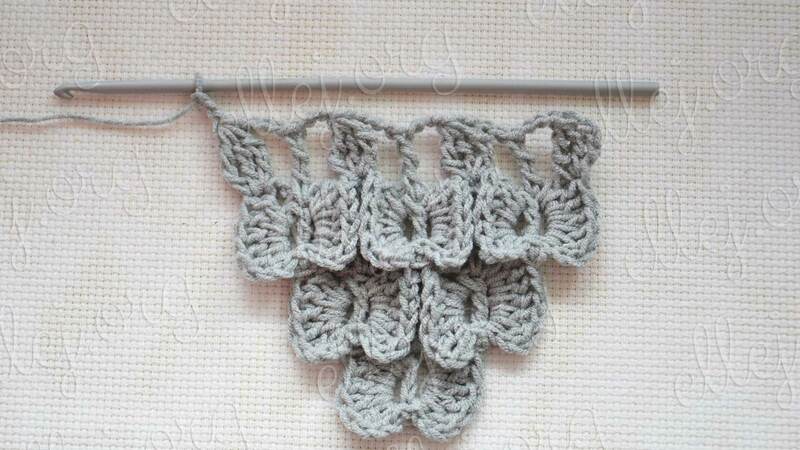 For the scales at the frame only 2 tr. 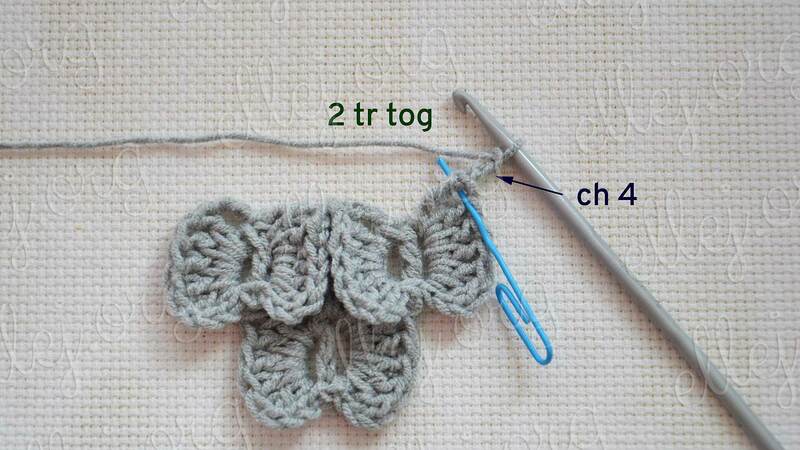 You can be work tr instead dc on wings and in frame work chain 4 to triangle is expanded more faster. 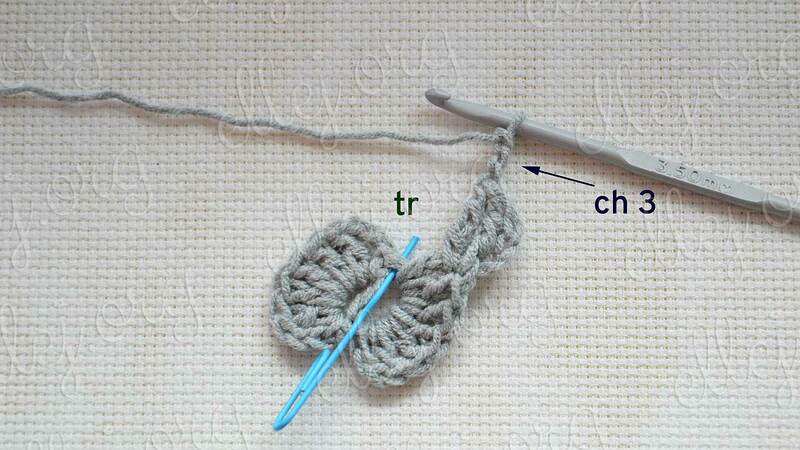 Both Crochet Stitches pattern much easier than they look. 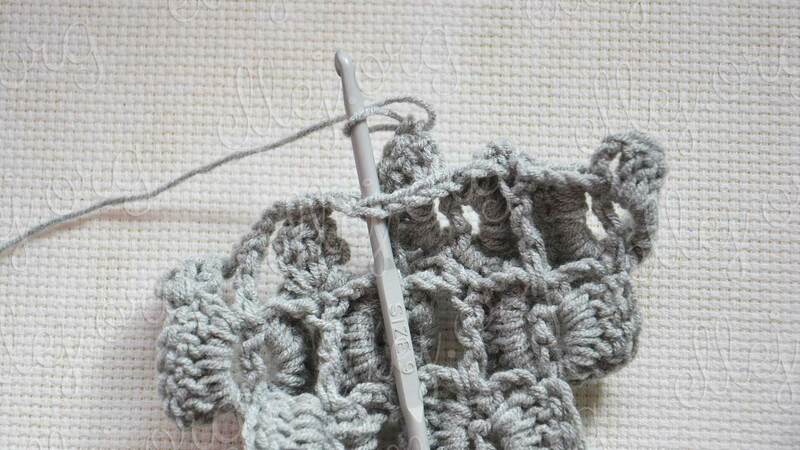 So is crochet with fun! 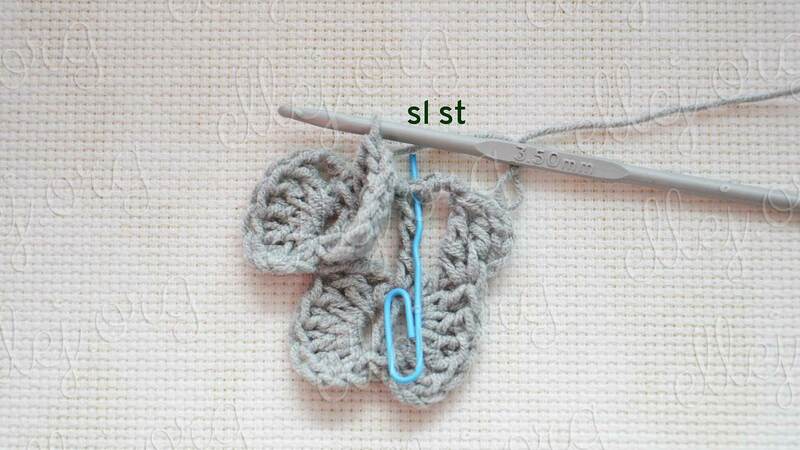 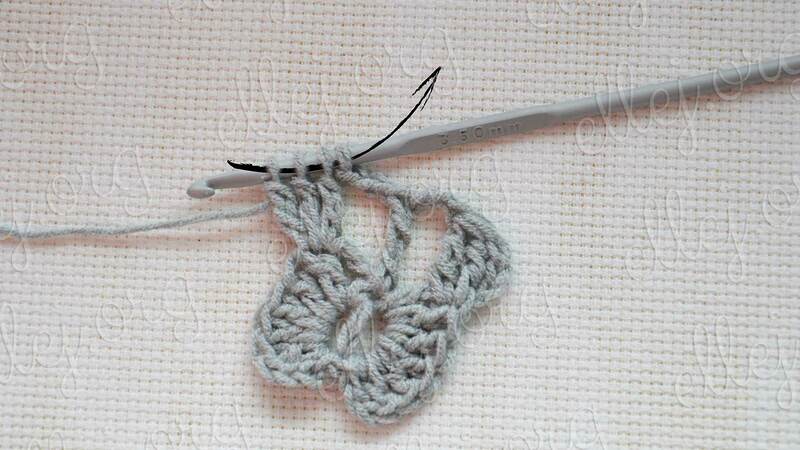 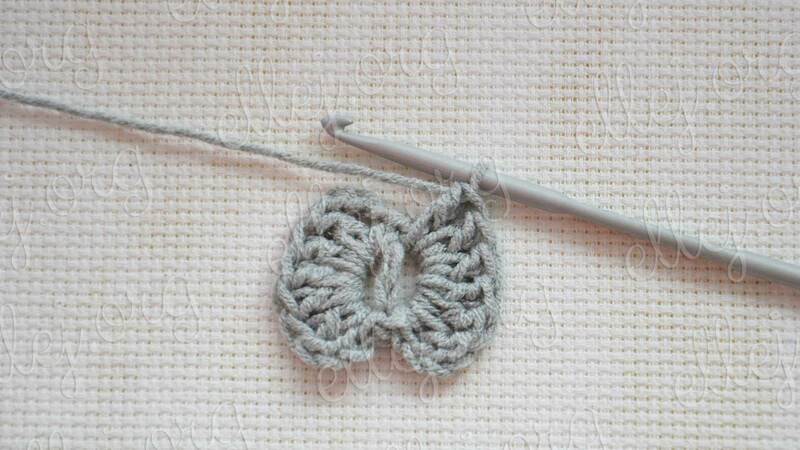 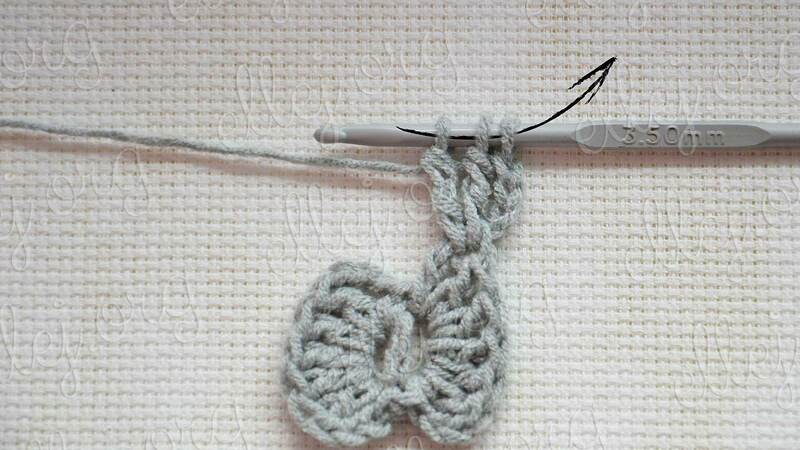 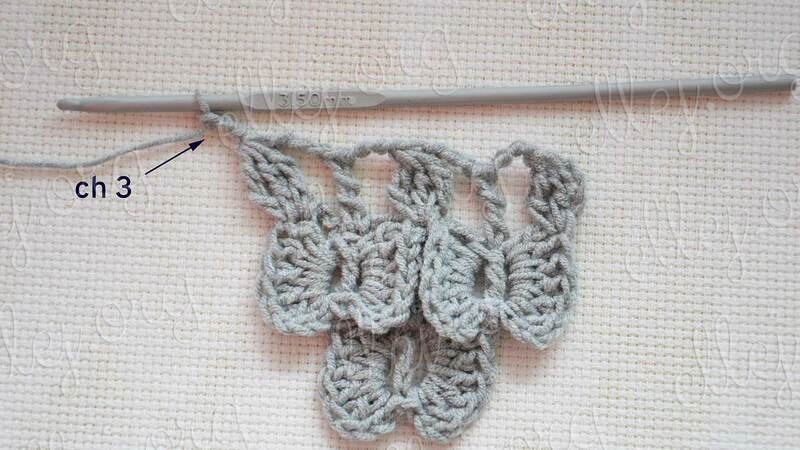 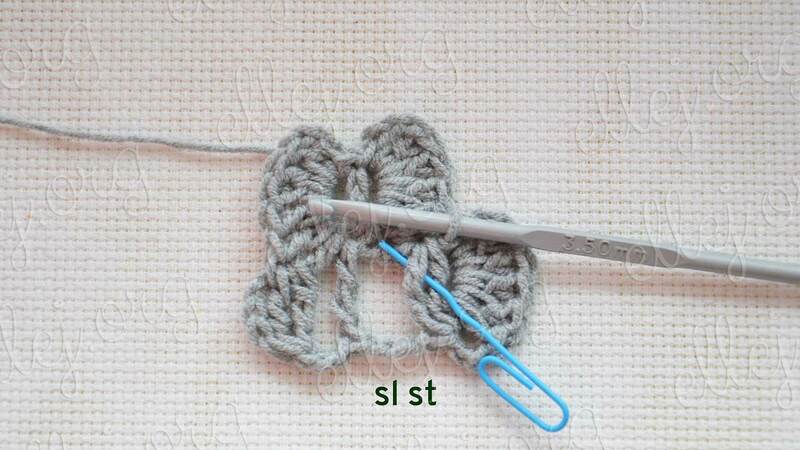 Click on the Ravelry logo to add Dandee Butterfly Crochet Stitch in your projects. 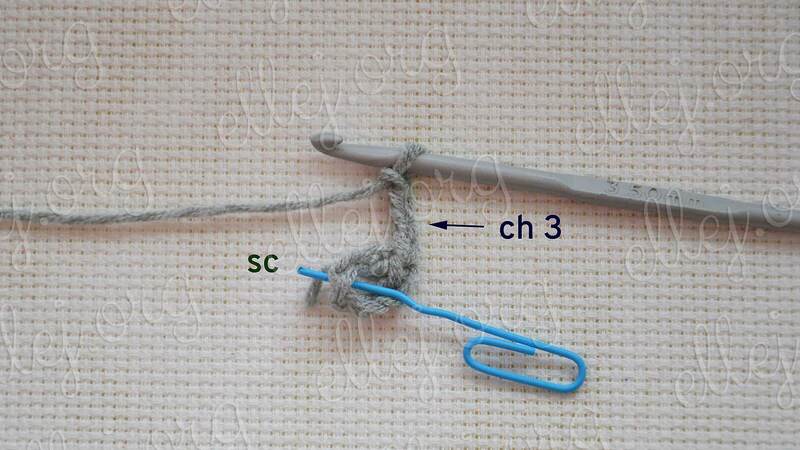 When you make a click through these links, I do receive commission. 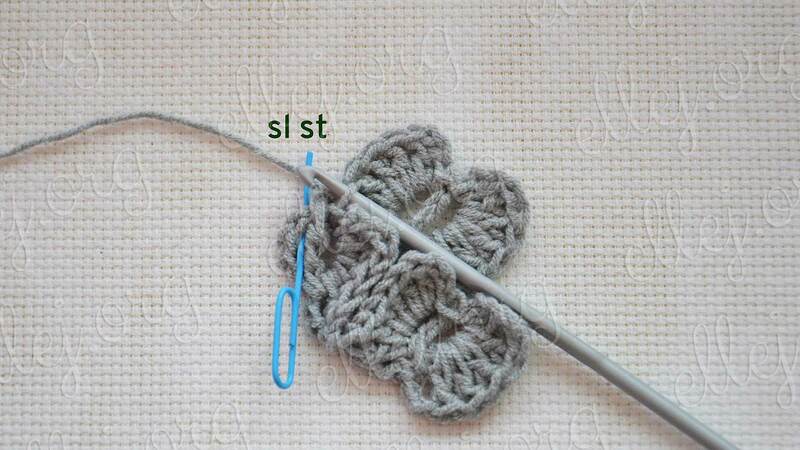 This small contribution helps support Crochet by Ellej and allows me to bring you some more great posts!